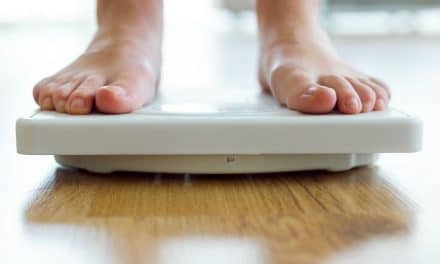 Home » Health » Weight Loss » How does Keto Diet or Ketogenic Diet Plan help Reduce Your Weight quickly? Are you someone who is sweating enough in the gym and yet could not see any movement on the weighing scale? Believe me, you are not the only one! Most people rate losing weight one of the hardest things to accomplish in their life. But not anymore. 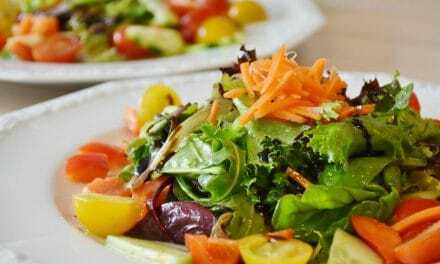 Today I am going to share with you an amazing diet called Ketogenic diet plan which can help you in reducing your weight by 8-10 kgs in one month. Keto diet an requires you to completely avoid sugar. At the same time, you have to eat fatty foods. Generally, your body looks for glucose for converting it into energy. 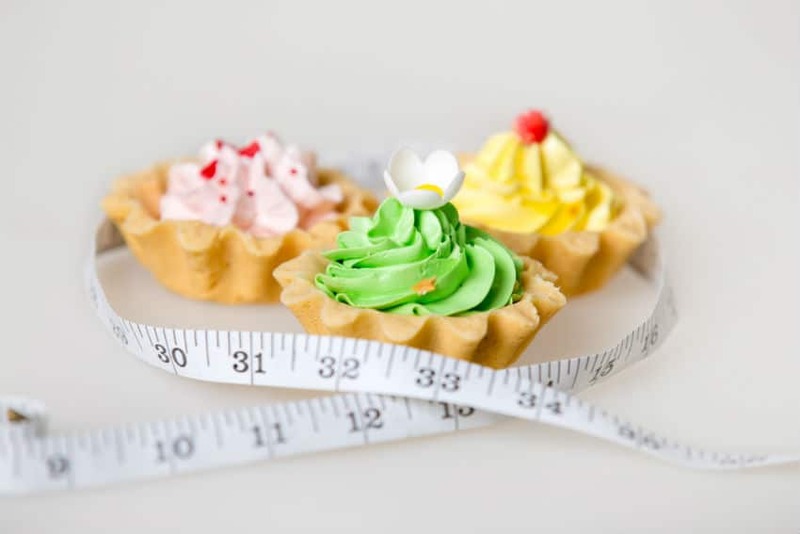 In the absence of sugar, your body will look for other alternatives such as fat. In this condition, your body will burn your fat at a higher rate. Probably that’s the reason why so many people are consulting dieticians, trainers & friends who can guide them in following the diet and help them shred some weight. Plus, who doesn’t want to have cheese every day, right? Let’s learn more about the diet, how does it work, and the pros and cons. Carbohydrates – Also called Carbs, are organic compounds which contain sugar, starch and cellulose. Carbs are present in foods like bread, chapatti, rice, potato, etc. and the body breaks down the glucose from carbohydrates to generate energy. Fats – Fat is an essential component of a diet as fats provide the essential fatty acids and are used to generate and store energy in the body. Some vitamins are fat-soluble, meaning, they require the presence of fats to be utilised by the body. Proteins – Proteins are present throughout the body. They exist in large molecules with long chains of amino acids. 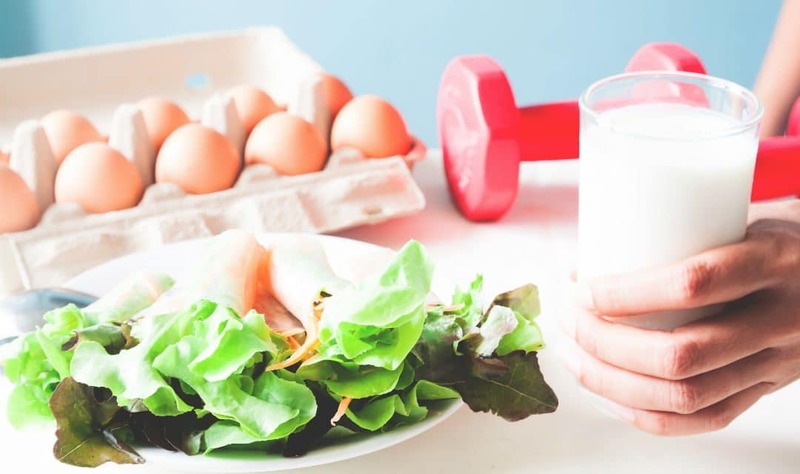 Proteins make 30% of our muscles, 20-30% of liver and thus, are an essential component of our diet. 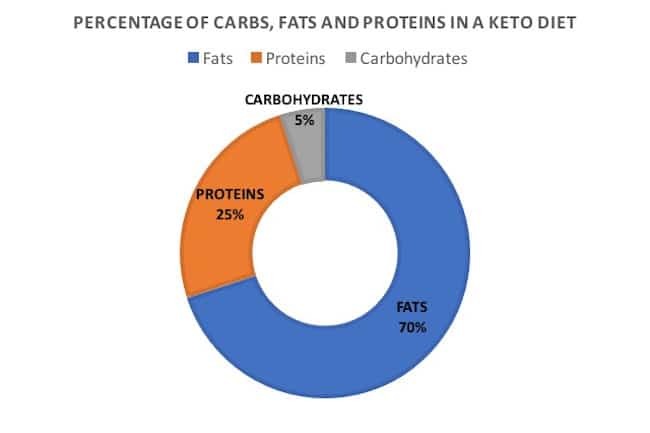 When you follow keto, you are supposed to reduce down the levels of carbohydrates taken externally (while eating). In doing so, the body starves the glucose to convert into energy and hence, looks for other alternatives. 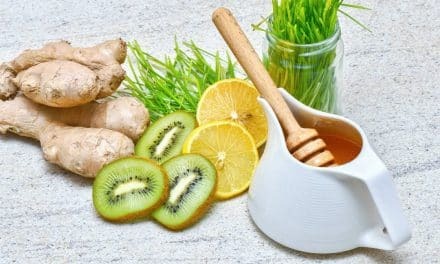 Now, what are the alternatives to generate energy, and how to induce the body to use them? 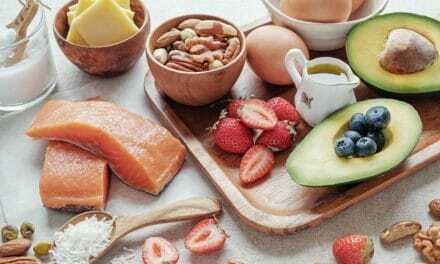 How does the Keto Diet Meal Plan work? 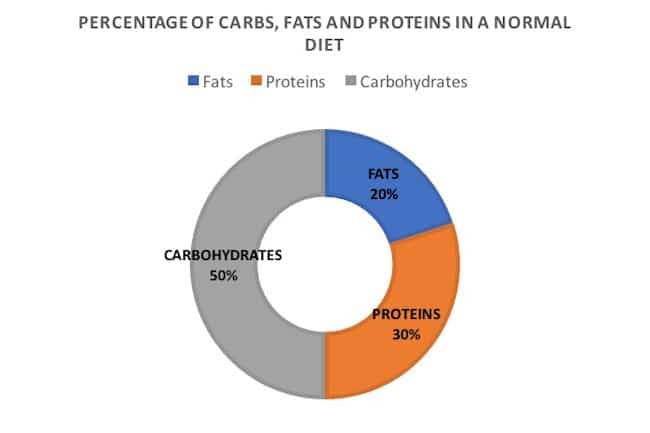 Well, below is the percentage of carbs, proteins and fats in a normal diet. The percentages may vary depending on the food habits and lifestyle. Normally, any staple diet consists of rice, chapatti, or bread. Hence, the intake of carbohydrates is at a significant 50%, whereas fats intake is low, around 20-30%. Therefore, most of the energy generated by the body is through the carbohydrates. So, what happens when your body gets 70% of fat and only 5-10% of carbs? Well, we don’t need to read ‘Survival of the fittest’ to answer that question, we just adapt! One of the main advantages of this diet is simply weight loss. When you are in the range of the weight you are supposed to be. You feel fit, your energy levels are intact, and your productivity levels are on a high. Keto will help you keep your cholesterol levels down since you avoid sugar-based foods and keep a check on your weight. Keeping your cholesterol levels under check will keep you healthy and better prevent silent killers such as hypertension. Many Blood Pressure cases are directly related to obesity and high cholesterol, which can be improved in a short span by following the keto diet plan. In short, you will have a healthy heart. But some of you may think that fat is inadvisable for people with heart-related diseases or threats. But, when you are burning fat at such a high rate, it doesn’t matter. Keto will help type-2 diabetes people and also pre-diabetics who are not on insulin. However, people on insulin should consider talking to the doctor before starting with the diet plan for adjusting the insulin levels if required. Although Ketogenic diet seems to be perfect so far, there are a few things that you need to know before you start with your meal plan. There are arguments about it being effective only for a short time. Also, 3-4 Kgs of the initial weight loss is due to water weight. You also lose some muscle after completing the diet. However, there are ways to gain the muscle mass that you lose during the diet. In short, you got to have a mix of 80%-20% between your diet and exercise regime.